An email marketing program is one of the best ways to send direct messages to your target audience. This customizable and creative system can be a highly efficient way to contact current customers as well as new leads. 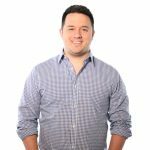 However, in order to see the best possible results from your email marketing program, the experts at Farotech recommend that you follow these best practices. We are incredibly visual creatures, and it is no secret that aesthetics make a big difference in marketing because of this. So, it is important to make aesthetic appeal a focus as you design your email marketing strategy. The emails you send should definitely be eye catching, but they also need to consistently reflect your brand and corporate identity. Finally, it is important that these aesthetic details come through on the first click; so, make sure that your email design will open across many major email programs and on different devices. This initial visual compatibility, interest, and identification can make a big difference in whether or not recipients take the time to explore the contents of the email. 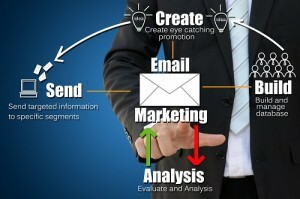 There is a major difference between receiving a mass market email and one which has been personalized directly to you. So, whenever it is possible, find a way to personalize your emails to current or potential clients. In some cases, it is as simple as ensuring that their name appears within the text of the email. At other times, you may want to go the extra step and add personalized recommendations to a subscriber based on their browsing history on your site. Such personalization can be a major boost to your conversion rate! Finally, make sure that you are staying current with your email marketing campaign. Because this is a nearly instantaneous form of communication, it is even more important to stay up to date. Not only does this mean that all of your data should be current and relevant to the user, but it also needs to be relevant to the moment. Take advantage of holidays, changing seasons, and current events as jumping off points for the content of the emails you send, ensuring that you enter into the conversations your clients are already having. Although an email marketing program can be direct and efficient, it works best when it is part of a larger marketing plan. 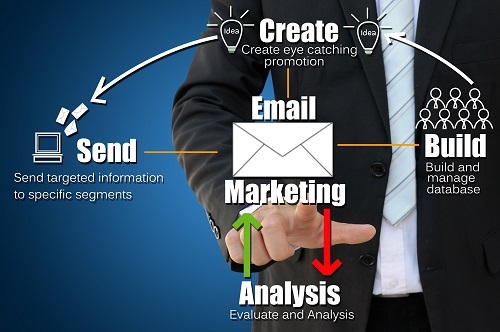 For more information about how email marketing can support your overall marketing campaign, contact Farotech today.